Pressure washing adds years to the life of a property. Dirt, grime, bird droppings, mold and mildew can and will cause rot, decay and premature failure of building materials, costing future renovations and replacements. Regularly having your property exterior cleaned will dramatically cut down on these costly repairs. 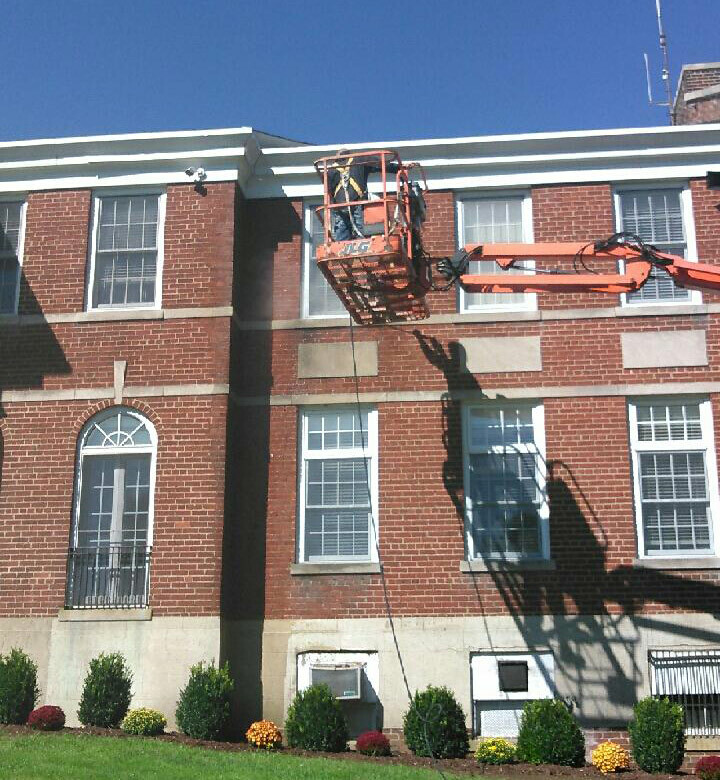 Power washing also keeps your building’s exterior looking clean and debris free. Our pressure washing crews use EPA approved soaps. Our pressure washing units have 3500 psi, and hot water to address the most difficult residue build up. Premier Hood Cleaning crews are trained and understand the importance of the storm water management program. 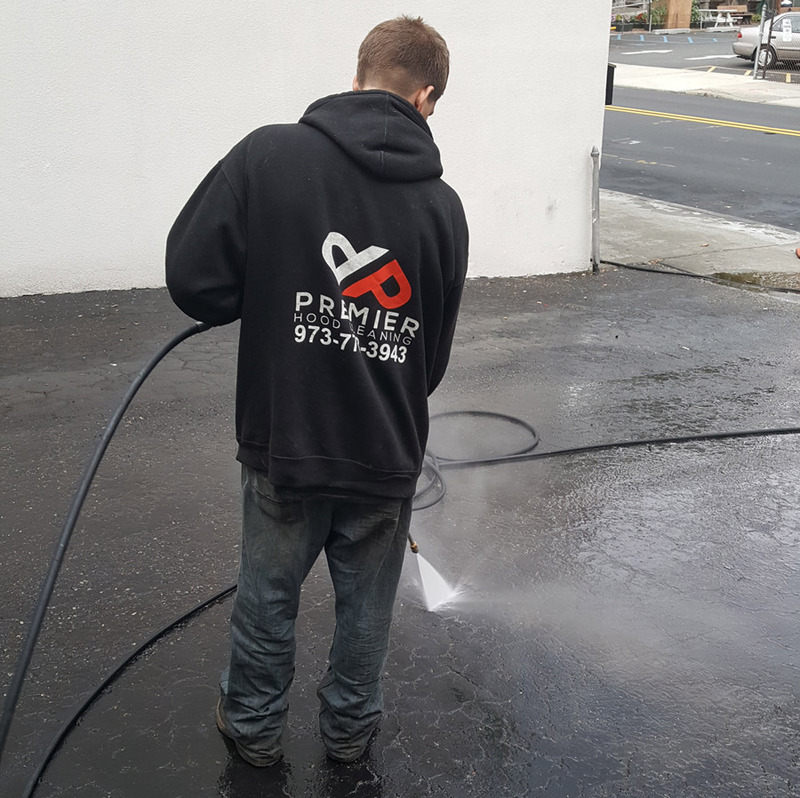 At Premier Hood Cleaning, our high-pressure washing procedure is designed to deep clean surfaces such as concrete, brick, stone, stucco, wood decks and more. With the use of our state of the art equipment and high pressure hot water system we have the ability to remove even the most stubborn and unsightly stains such as gum, tar, or paint.